In theory, cloud bursting is an ideal response to a spike in demand. Many businesses do not have the architecture or compatibility to make it work, though. With cloud bursting, an organization runs an application in a private cloud or data center and then, when demand for compute capacity spikes, the app bursts into a public cloud. In theory, a cloud bursting architecture allows an organization to temporarily shift on-premises workloads to the public cloud. With this power at its disposal, a business can meet spikes in demand and then back off once things stabilize -- it's the epitome of a responsive, cost-effective IT infrastructure. But this seamless shifting back and forth isn't easily accomplished. For some businesses, it's not possible, especially if they don't have the right infrastructure. It's also important to consider compatibility between the on-premises private cloud -- or the traditional on-premises system -- and the public cloud provider. There is often an incompatibility there that hinders cloud bursting architecture. In reality, cloud bursting requires a high level of automation. And, in many situations, the underlying infrastructure of an organization's data center is too fundamentally different than the underlying infrastructure on the public cloud. To address these obstacles, some tech providers offer public-like cloud capabilities on premises. Microsoft has Azure Stack, its anticipated private cloud service, while Oracle has a similar strategy with Oracle Cloud Machine. Amazon Web Services (AWS) and Google do not have anything comparable. With cloud bursting's inherent challenges, many IT staffs don't see it as a realistic option for their organizations. VMware users might seek a public cloud that uses the same virtualized infrastructure as an in-house data center. Indeed, you can now run VMware on both AWS and IBM SoftLayer. While those may be compatible with VMware, they may not be cost-effective options. Admins must consider the cost to run VMware in the cloud versus a simple reallocation of existing hardware in the data center. The same issues come up with Microsoft and Oracle. In other words, is a cloud bursting architecture worth the trouble and expense? Other cloud bursting difficulties include a lack of binary compatibility between the private and public clouds. With cloud bursting's inherent challenges, many IT staffs don't see it as a realistic option for their organizations. Instead, they might pursue hybrid cloud capabilities by seeking compatibility between on premises and cloud infrastructures. Admins also need to consider a lack of feature compatibility. 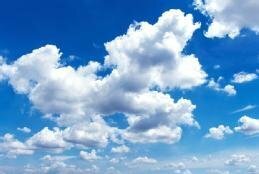 In the last few years, public clouds such as AWS have leaped ahead of all private cloud offerings. If you want feature parity, you won't find it between AWS and a private cloud. The clouds are not considered compatible, making cloud bursting architecture an unrealistic scenario for when compute capacity is exceeded. The larger issue is this: Do you need a private cloud or traditional systems at all? Why not push to the public cloud as fast as you can and render cloud bursting moot? Private clouds -- and traditional systems -- are not cost-effective since you have to deal with, and pay for, hardware and software. For the most part, those who stick with on-premises systems do so because they need control, not for security reasons. The variations in threat activity are not as important as where the infrastructure is located. Anything that can possibly be accessed from outside has an equal chance of being attacked -- whether enterprise or cloud -- because attacks are opportunistic in nature. A public cloud is usually not involved in well-publicized breaches. Cloud compatibility is virtually non-existent. It will be difficult to achieve cloud compatibility without close coordination between private cloud vendors and public cloud providers -- although there are exceptions with the Azure Stack and Oracle Machine. Getting "wiggy" with the deployment models will make things too complex and too expensive. This stuff ran well on PowerPoint, but in the real world, these types of hybrid cloud relationships are difficult to set up and even more difficult to operate. Any savings you gain from bursting to a public cloud will quickly be lost in paying people to nurse along this architecture. People don't want to hear it, but, for the most part, a cloud bursting architecture is too complex and expensive. It simply does not make practical sense for most organizations. This realization might have gotten someone tarred and feathered back in 2009, when cloud bursting was part of everyone's cloud computing presentations. Now, reality has set in. What adjustments does your business need to make to have a cloud bursting architecture? E-Handbook: Is cloud bursting the best solution for compute capacity overload? Want to use cloud bursting as a standby for when your business has compute spikes? Not so fast. Compatibility concerns and latency can quickly become issues. The lack of capable infrastructure hinders a typical cloud bursting architecture. Choose one of these four paths to better implement cloud bursting. Cloud bursting helps organizations use the public cloud to manage sudden spikes in demand. But what challenges or issues might it introduce?